" Bought this Auto-CPAP to replace a loud machine. I'm amazed how quiet this is. Very happy so far. " " Simple, effective, and inexpensive. A great choice, especially for cash payers. " The Zzz-PAP Auto is one of the smallest and lightest APAPs on the market. The Zzz-PAP Auto comes with therapy management software to track your therapy progress. The machine also comes with an industry standard two year warranty. The Zzz-PAP Auto is no longer available. Looking for an auto machine that is similar in price and size? 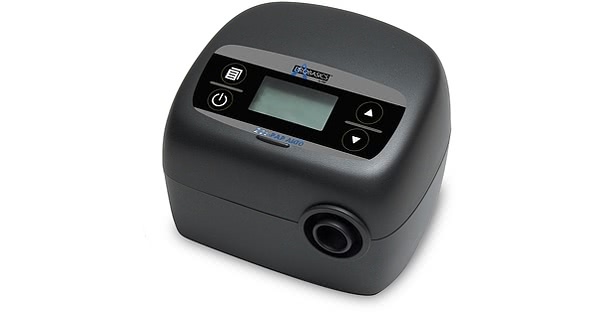 The XT Auto CPAP is a great option currently available. 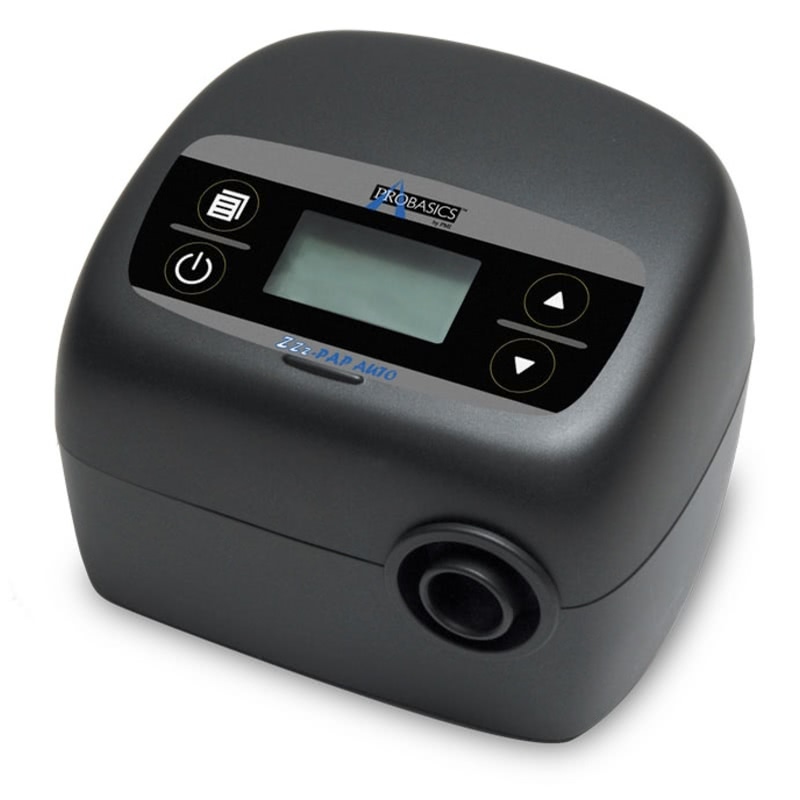 Probasics introduces the same dependable and quiet CPAP therapy customers have come to love with the Zzz-PAP 'Silent Traveler' CPAP machine now in an advanced auto-adjusting CPAP machine (APAP). Advanced Auto Algorithm. The advanced auto algorithm changes the pressure on a breath by breath basis to deliver the minimum amount of pressure needed to keep the airway open. Included Heated Humidifier. The Zzz-PAP Auto uses the same humidifier as the Zzz-PAP CPAP Machine. The humidifier keeps the airway moist through out the night to make therapy more comfortable. Included Advanced Therapy Software. 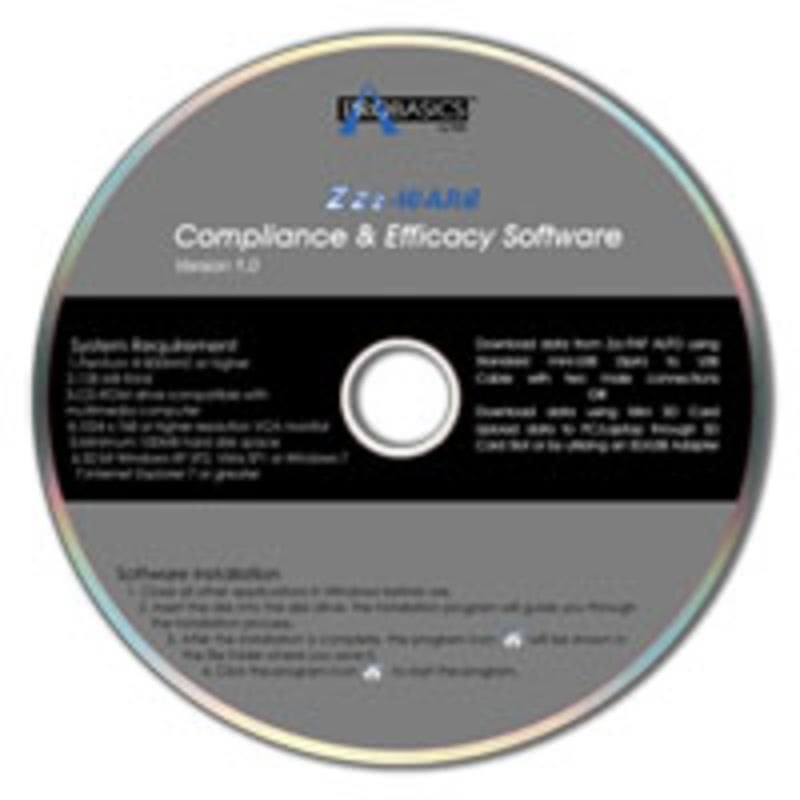 Included with each Zzz-PAP Auto purchase is a copy of the Advanced Therapy Software, Zzz-Ware. This software allows tracking of therapy progress over time. The data from the last night of usage is also viewable through the Zzz-PAP Auto's Menu button. Automatic Altitude Adjustment. The Zzz-PAP Auto automatically adjusts the pressure depending on changes in altitude. Leak Compensation. The Zzz-PAP Auto adjusts the pressure to compensate for detected mask leaks. Clock with Alarm Function. The Clock and Alarm can be set through the Zzz-PAP Auto's Menu Display. Advanced Auto Algorithm. The Zzz-PAP Auto monitors the user's breathing through a set or pressure sensors inside the machine. The sensors measure pressure changes, caused by events such as snoring and apneas, on a breath by breath basis. Starting at the minimum set pressure, the Zzz-PAP will adjust the machine's pressure on a breath by breath to compensate for changes in airflow in order to keep your airway open. Once an event, such as an apnea is detected, the Zzz-PAP gradually increases the pressure until the event has passed. For example, if you move from your side to your back while sleeping, your airway may become more obstructed. If this occurs, the Zzz-PAP Auto would detect this obstruction and increase the pressure until the obstruction was resolved. Included Heated Humidifier. The Heated Humidifier provides six levels of humidity control. There is a easy to understand green led that is lit when the heater is turned on. The humidifier's water chamber disassembles and is machine washable. Zzz-Ware Advance Therapy Tracking Software. Every Zzz-PAP Auto comes with advanced therapy software! The Zzz-Ware not only tracks basic compliance data, it also tracks advanced therapy such as Apnea/Hypopnea indexes, snoring events, and flow limitations. When reviewing the data, there are four tabs that show the majority of the information; the Total Time, Compliance, Detail, and Long Term. The Total Time and Compliance tabs show basically the same information of when the device was used. The difference between the Total Time and the Compliance is that compliance time is the time the device was used while the user is wearing the mask. The Detail tab shows data such as the user's pressure over time, the leak rate, the AHI, and the number of pressure events per hour. This screen shows a default of the last 72 hours, however the date range can be changed by clicking the "Set Range" button. The Long Term tab allows you to see the average pressure, compliance and events over time. The date range can be changed on this screen as well. To retrieve data from the machine's memory, insert the SD card into the slot on the back of the machine. Do not store the data card in the machine, insert it only when doing a download. Dimensions 5.7" x 5.1" x 3.9"
Software can be installed on a 64 bit system, however, it is not an easy process. You will need a 32-bit emulator. Here is the link Probasics provided for the 32-bit emulator. We recommend using a CPAP hose without a universal hose or hose quick connect. The ramp time, ramp start pressure and therapy (single) pressure are only available in CPAP mode. These functions are not available when set to APAP mode. Also, even though the ramp feature on the Zzz-PAP Auto can be set to (0) zero, the machine will still take approximately 2 minutes to reach your full therapy pressure. Please Note: Do NOT store the data card in the Zzz-PAP Auto. Insert the card into the slot on the back of the machine when ready to download data.